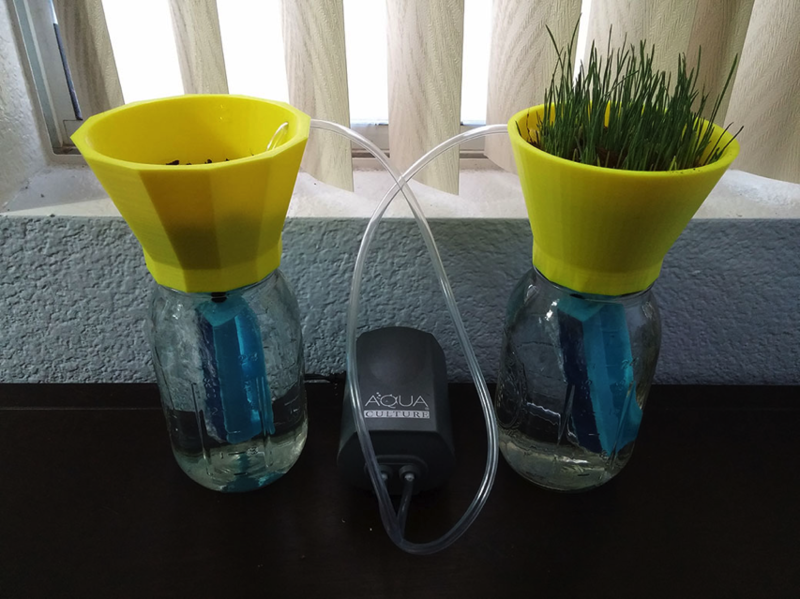 3D Printed Desktop Hydroponics « Adafruit Industries – Makers, hackers, artists, designers and engineers! I came up with this project after my cat started chewing on all of my house plants. I used to buy him cat grass from my local farmer’s market, but they started to get really expensive. 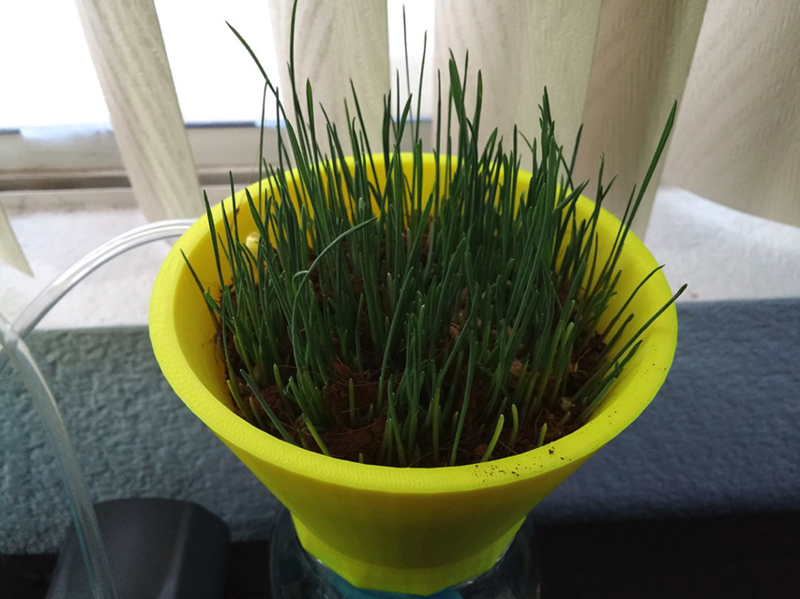 ($9 for a 3×3 pot) So I decided to put my 3d printer to use and make a cheaper alternative using some stuff I had around the house. I’ll be growing some cat grass (Barley) and some catnip for my little plant killer. – Mason jars with a regular sized mouth – The 3d file can only fit on regular mouth jars, not the wide mouth. Coconut fiber pith or rock wool which you can get at any hydroponics store. If you use the coconut fiber you will have A LOT of extra material. If you use rock-wool, you will need at least 1x 1-inch cubes as well as a few (handful) hydroton pebbles. The model may appear really small, if that is the case, scale it up by 10. I think it may be an issue with .obj files. Unfortunately Maya LT doesn’t support .STL exports.